With the advancement of technology, we’re seeing many traditional products and services going under rejuvenation and innovation. 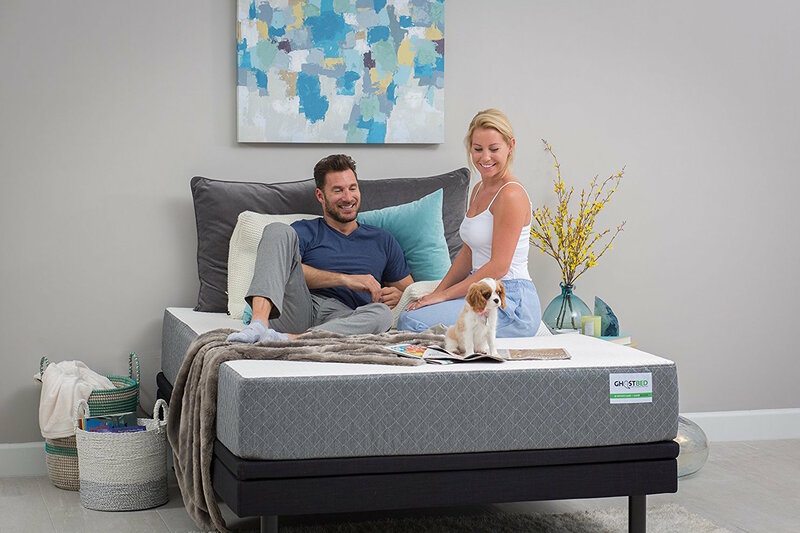 Mattress buying was one of these traditional industries that meant you needed to go from showroom to showroom lying on many mattresses and making a decision based on a quick test. The revolution of this industry has led to a surge in the number of online-only retailers who make the buying process less stressful and easier allowing you to buy in just a few clicks. What’s even better is the quality of these mattresses as just as good or often better than their brick and mortar counterparts. 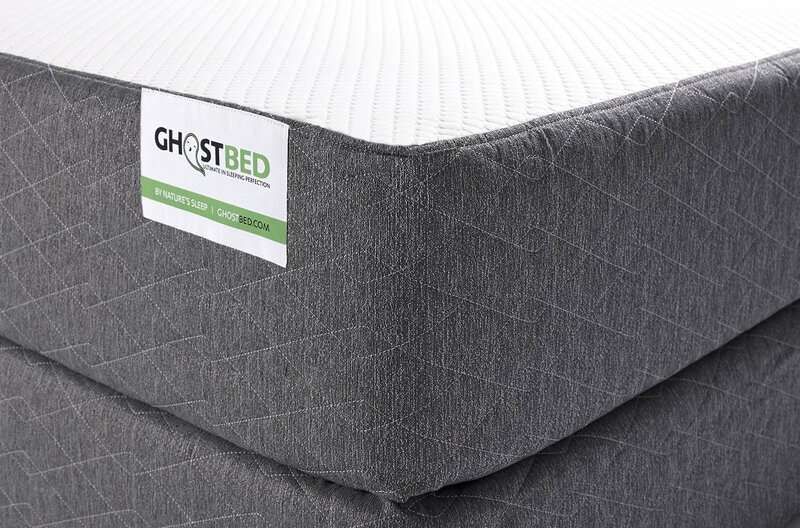 One of these online retailers is the Ghostbed, who has established a presence all over the globe. However, we understand that with the rise in retailers it has made it harder to make a final buying decision, which is why we’ve created this Ghostbed review guide to show you why it ended up being one of our favourite mattress brands (see the full list here). GhostBed is a mattress developed by Natures Sleep which was created by its founder who had to undergo three neck surgeries and struggled to find a comfortable mattress and pillow combination that didn’t leave him in constant pain. They not only wanted to create a high-quality mattress but also remove the frustrating showroom experience. Ghostbed is based in the USA, and the mattress has been developed using over 35 years of mattress design and development experience using only premium materials and craftsmanship. The Ghostbed is designed in the USA and manufactured in the UK, and the mattress features three main layers using a range of different materials that work together to enhance the quality of your sleep. The top layer features a 3 cm thick latex foam material which promotes air cooling and comfort while not retaining body heat so you will remain cool throughout your sleep. The latex form is also naturally responsive, so it offers good bounce to provide tension relief for your delicate pressure points. When the latex layer is being manufactured, it undergoes a thorough washing which means that the high temperature denatures the proteins that are responsible for triggering any potential allergic reactions. Also, the mattress cover further prevents any direct contact from the skin. The middle layer is constructed using a four and a half cm thick gel memory foam material. This is different from traditional memory foam as it uses a proprietary formula made exclusively to the Ghostbed which has larger cells so it can regulate the body's temperature more efficiently. The memory foam also contours to the shape of the sleeper’s body to provide additional support. The final bottom layer is 19.5 centimetres of high-density support foam which provides a foundation to the upper regions of the mattress and ensures that you get the same sleep quality time and time again. The mattress is encased in a high-quality plush cover made from polyester but has an extremely snug fit. The case is removable so it can easily be washed and put back onto the mattress keeping the surface clean and germ-free. Ghostbed has created a mattress that appeals to masses by having a balance between soft and firm giving it a blend of support and comfort no matter what position you sleep in. This mattress sits in the medium firm range. When you lie on the mattress you will first feel the soft latex foam layer which gives a bit of bounce; then you’ll feel the foam layer below begin to activate and contour around the shape of your body. Ghostbed is made from unique materials that allow the mattress to retain its original shape for longer. Throughout the night you will remain cool as the aerated latex layer removes the heat pulling it from the surface. In terms of motion transfer, the Ghostbed is effective at minimising the level of motion transfer which is ideal especially if you share a bed with another person. It means that you’re both likely to get a more restful sleeping experience. It’s usual for mattresses that contain memory foam to emit an odour when you first unwrap the product. However, the smell was barely noticeable which is quite rare for a mattress. It’s not a life changing benefit but a benefit nonetheless. In terms of edge support, the Ghost bed is one of the leaders in the market for a foam mattress. Due to the nature of the materials used, a foam mattress is never going to have extremely high-quality edge support; however, this provides a good level when you need it most. Now whether this mattress is for you depends on the type of sleeper that you are and many other factors including body weight and any health conditions that you may be suffering from. Because of the medium firm nature of the mattress, this is good for side sleepers. The lighter you are in weight, the more that you’ll feel this firmness bouncing back onto you providing you with additional support. If you routinely sleep on your back, then this mattress will benefit you the most due to the medium firmness of the mattress while also contouring to align your spine keeping it in a healthy position. This is evident when you wake up the following morning feeling refreshed and without achy joints. Stomach sleepers notoriously find it challenging to find a good sleeping solution. Those of average and over average weight will be more suited to this due to the added pressure which will reduce the firmness feel. If you weigh slightly lighter, then you will also feel the benefits as the firmness will help to relax your hips and support the rest of your body. If you’re ordering from the UK, then you can buy the product through their authorised distribution seller which is Amazon. You'll already be familiar with Amazon who is market leaders in online retail providing top quality customer service and delivery. Shipping is free and next day delivery is also available at an added cost if you’re in a rush to get the product to your door. So it’s as simple as just logging into your Amazon account and placing the order. Using Amazons delivery service, you can expect to receive it within just a couple of days. Just like with most courier services, they are only obliged to deliver the product to your door and whether they carry it into your desired room is down to their discretion on the day. The mattress is compressed and vacuum packed into a box which uses cutting edge technology to compress it safely. Once it's removed from the box, it will quickly decompress into its standard size, be sure to open it in your desired sleeping room otherwise just like any mattress it can be challenging to move in its full size. One thing that was initially noticeable was that the mattress itself is lighter than the average foam or latex mattress, so this makes moving it into position slightly easier. Although because the layers need to stay in the same position the mattress never needs to be flipped, but it can be periodically rotated to help preserve the layers and surfaces from wear. The mattress is supplied with a 101 night trial period which allows you to slowly get used to the mattress and make an informed decision about whether it's right for you. Traditionally you’d had five minutes in a mattress showroom to make a final decision, but with the Ghostbed you have 101 nights! Each mattress comes with a market leading 20-year warranty which is unheard of. This not only shows that Ghostbed plan to be around for many years but also that they stand by the quality of their products. To enforce this warranty, all you need is proof of purchase. Throughout the initial ten years of the warranty, Ghostbed will repair or replace a defective mattress at no charge to the user, including transportation and handling fees. Through the years 11 to 20, Ghostbed will replace or repair the mattress; however, the customer will incur the handling fee but no other subsequent costs. If the mattress needs to be replaced, then the owner will need to pay the prorated charge to complete the order for a new model. During the 11th year of warranty coverage, the owner will need to pay a prorated fee of 50% of the original cost of the mattress. The prorated charge will increase by 5% for each following year of warranty coverage, ending with a prorated fee of 95% during the 20th and final year of ownership. The mattress has undergone rigorous testing from a third party organisation to ensure that the foam within the mattress conforms to the safety limits for hazardous chemicals and metals, including Phthalates, Ozone, Lead, and Formaldehyde. Ghostbeds parent company are always involved in environmental initiatives whether this be decreasing reliance on fossil fuels or reducing un-recyclable packaging the company is striving to reduce its carbon footprint. The mattress has a very high weight limit of 340kg which is significantly higher than the majority of its competitors. Of course, the heavier you are, the more of a sinking feeling you’re going to get with a foam mattress, but with the 101-night trial it’s well worth trying it out first. Although the mattress is designed in the US, it is constructed in the UK using premium materials to ensure it's built to last the test of time. Not only will you be buying a top quality product but also will be supporting the local economy. The Ghostbed is a very impressive mattress and is ideal for people who sleep in many different positions due to its medium firmness. By not going too far to either side of the firmness spectrum they've created an effective hybrid for all types of sleeping positions. The mattress also keeps you cool due to the latex layer regulating your temperature while also maintaining its bounce and pressure relief. The mattress uses high-quality materials but still retains its value being priced exceptionally competitively in comparison to competing brands. The high-density base and high weight limit make it suitable for heavier users. 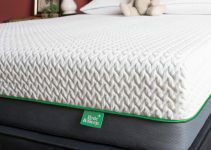 The benefits explained in this Ghostbed mattress review combined with the 101-night trial mean that you have little to lose by trying it, and a lot to gain by improving the quality of your sleep.